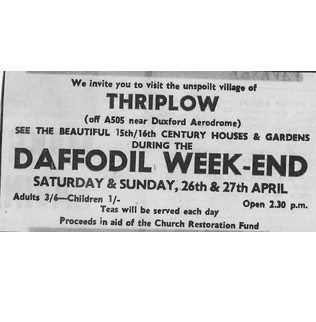 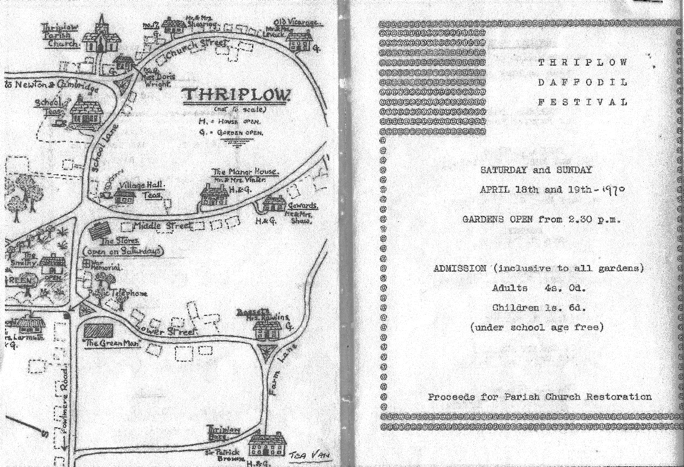 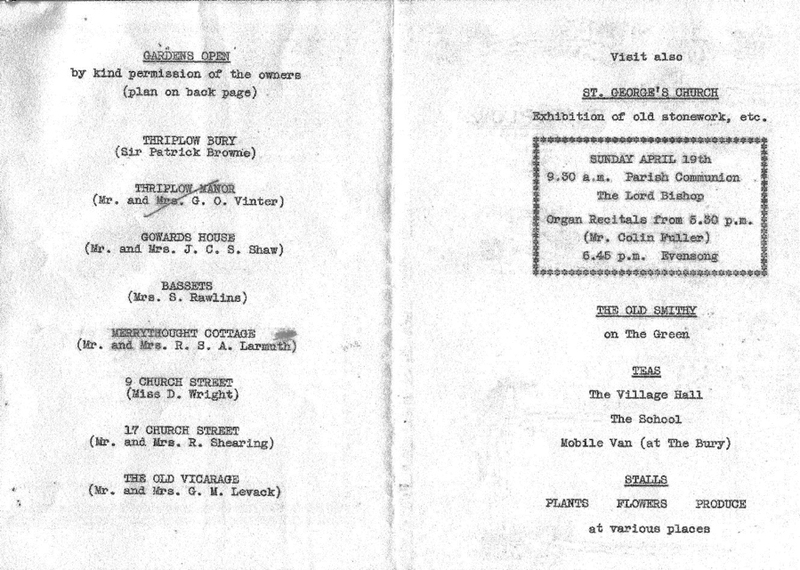 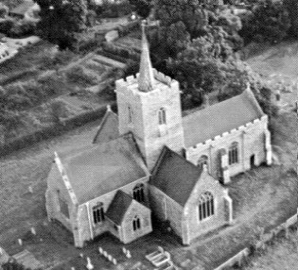 Thriplow Daffodil Weekend started in 1969 when the church needed major roof repairs. 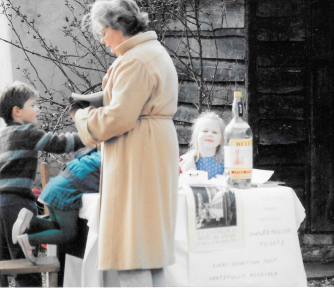 Residents decided to raise funds by opening their gardens and making cups of tea for their visitors. 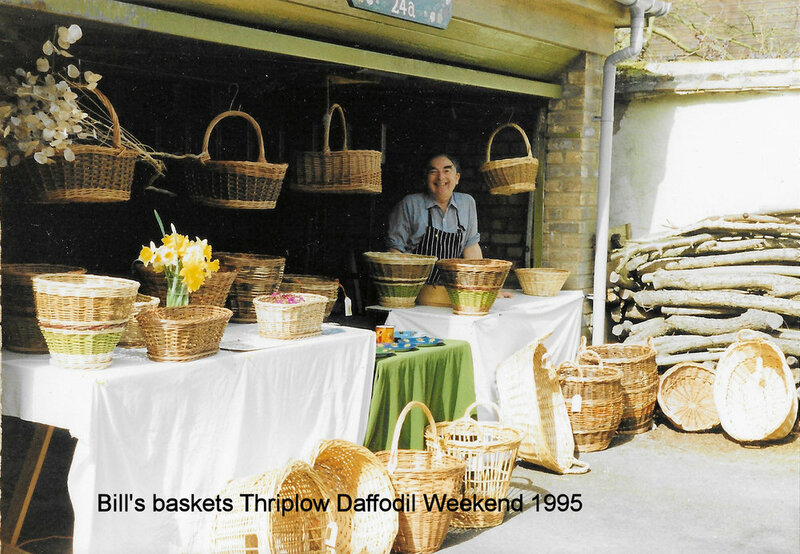 They made an amazing £206 and were so delighted they decided to do it all again the following year – and so the Thriplow Daffodil Weekend was born.